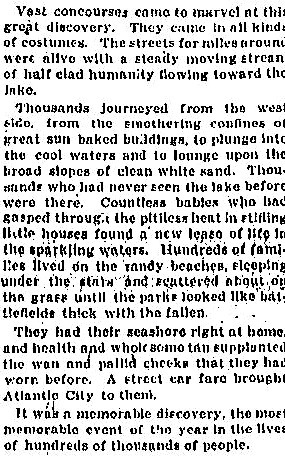 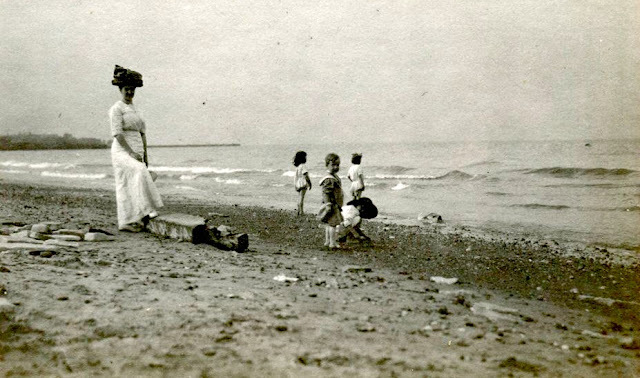 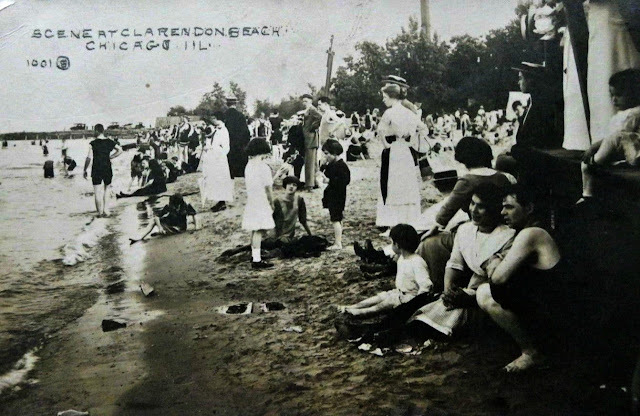 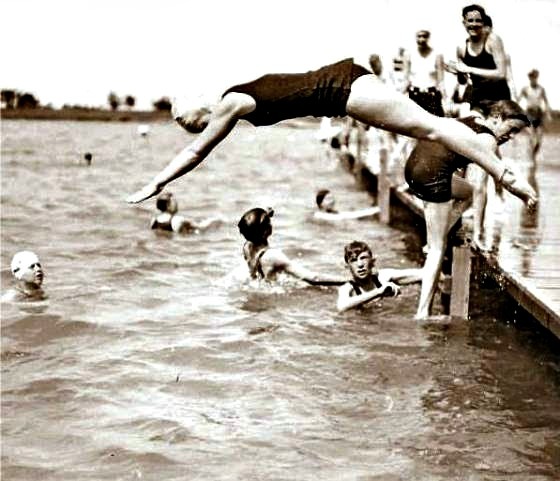 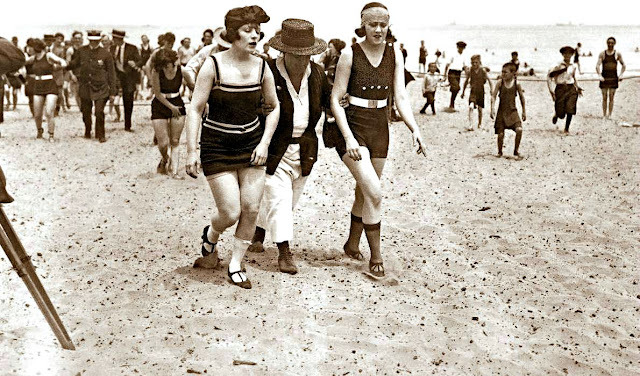 This could have been any beach along the lake 1920's. 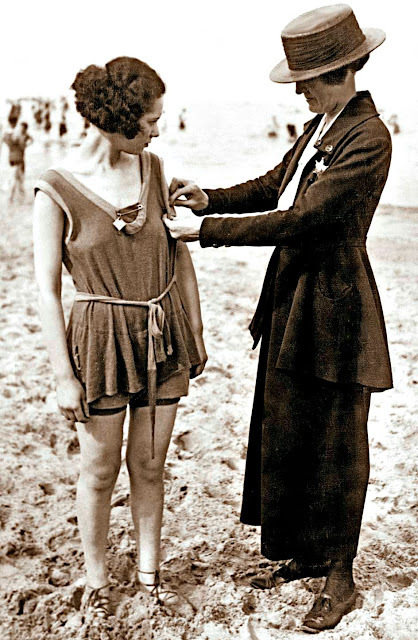 There was a dress code in those days - for women only! District of Lake View. 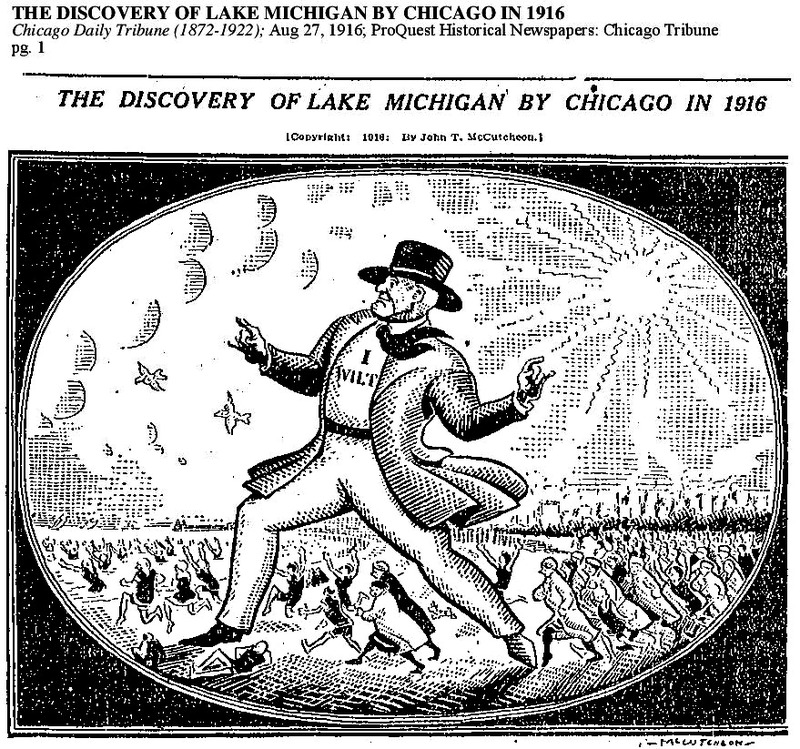 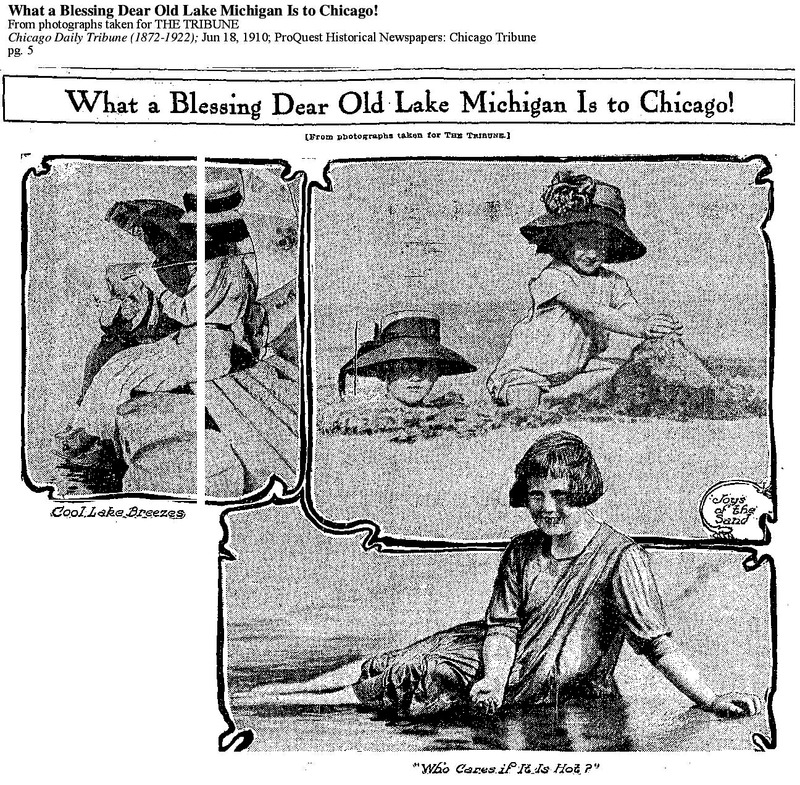 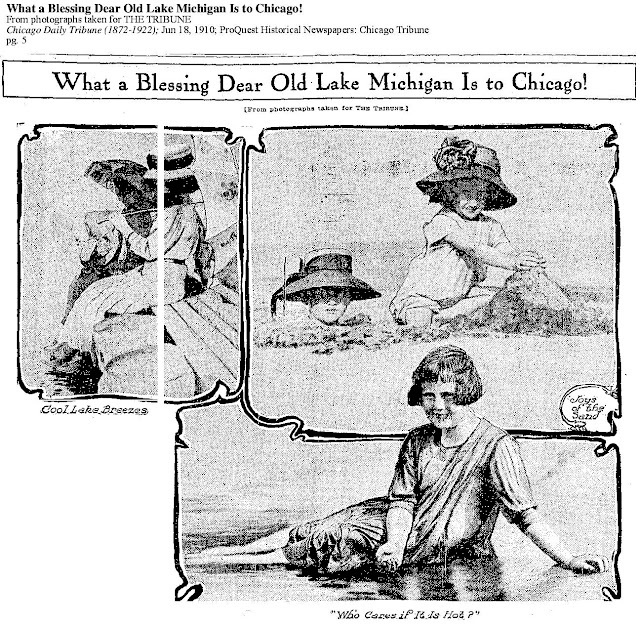 By 1930 the City of Chicago adopted official neighborhoods hence creating a smaller Lake View. 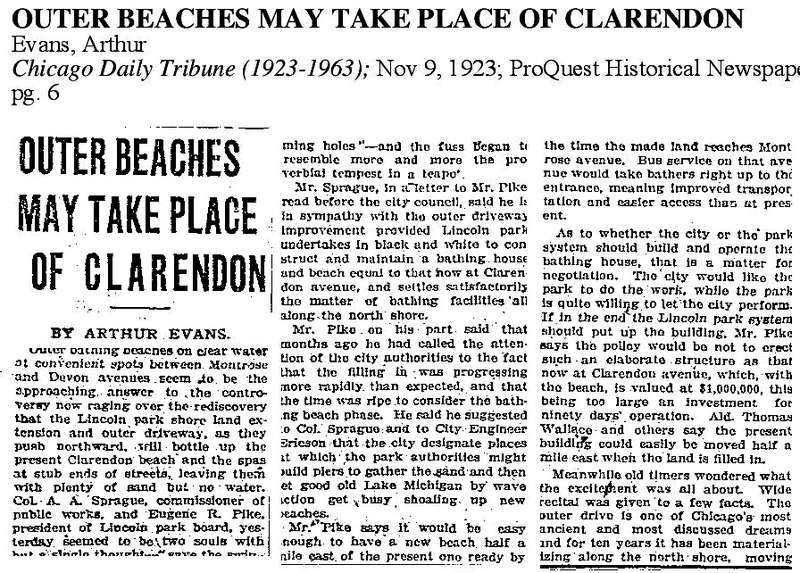 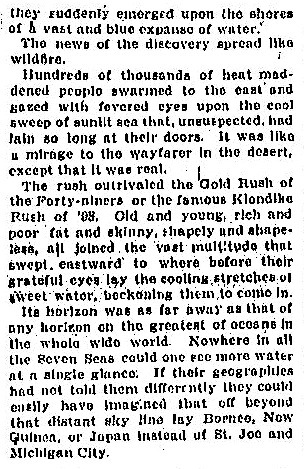 Street-end beaches were sandy beaches created literally at end of any street that would accommodate sand collection by the lake currents. 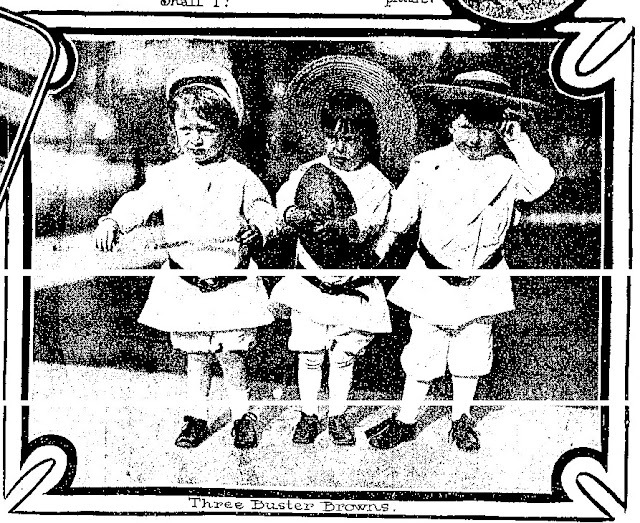 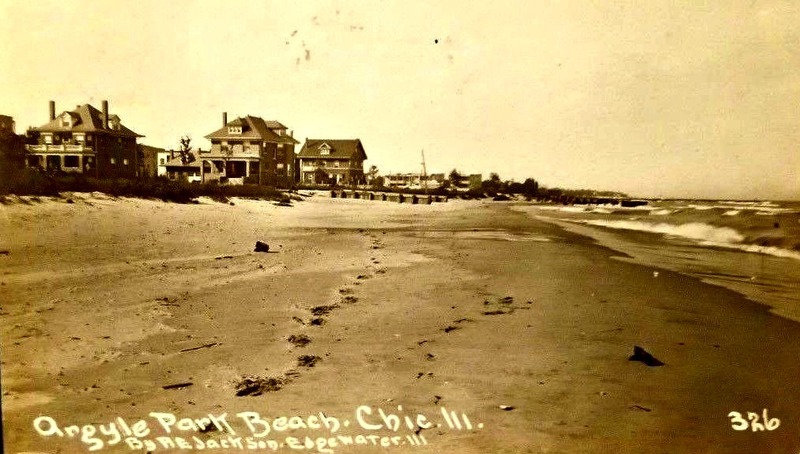 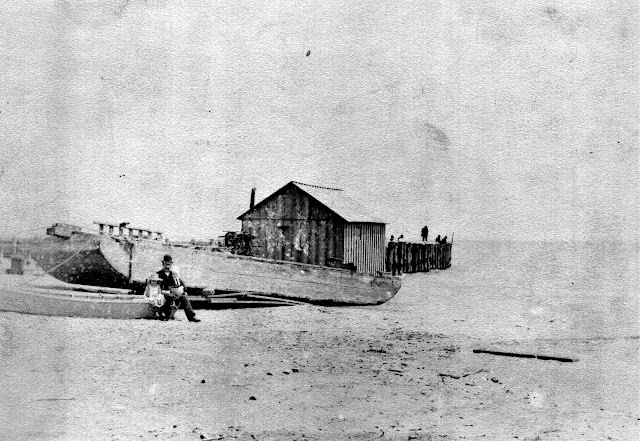 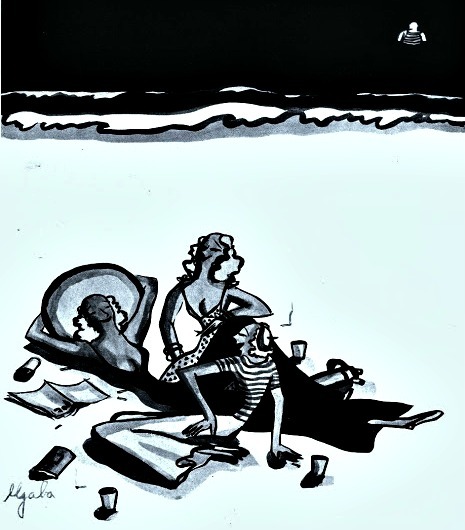 Some beaches had real estate constructed on them such as a clubhouse while others were just beach-heads like the current 'doggie' beach at Belmont Harbor. 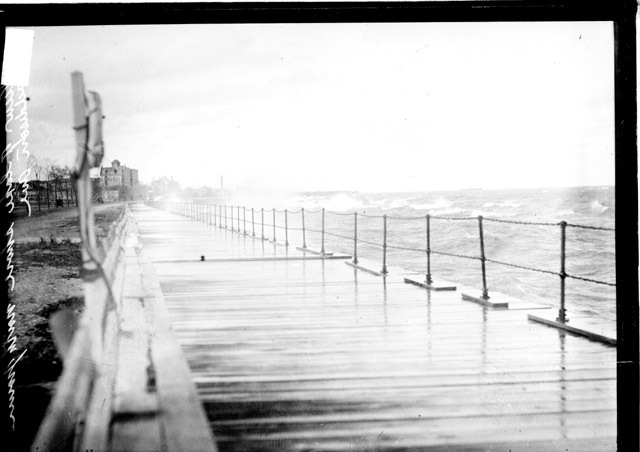 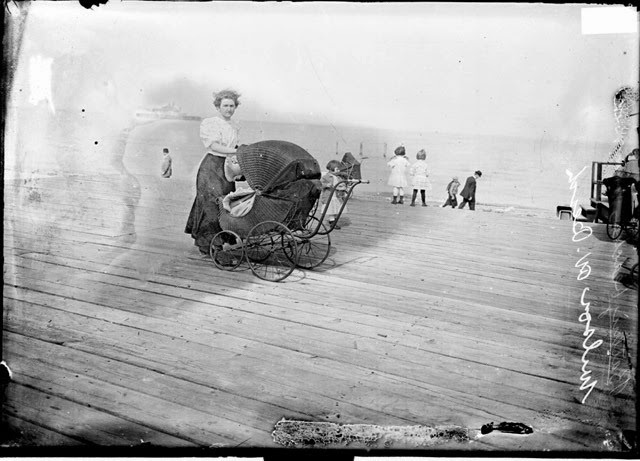 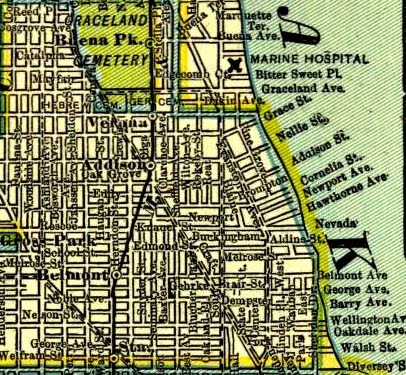 As more of the existing lakefront was land-filled northward the street-end beaches disappeared from the landscape. 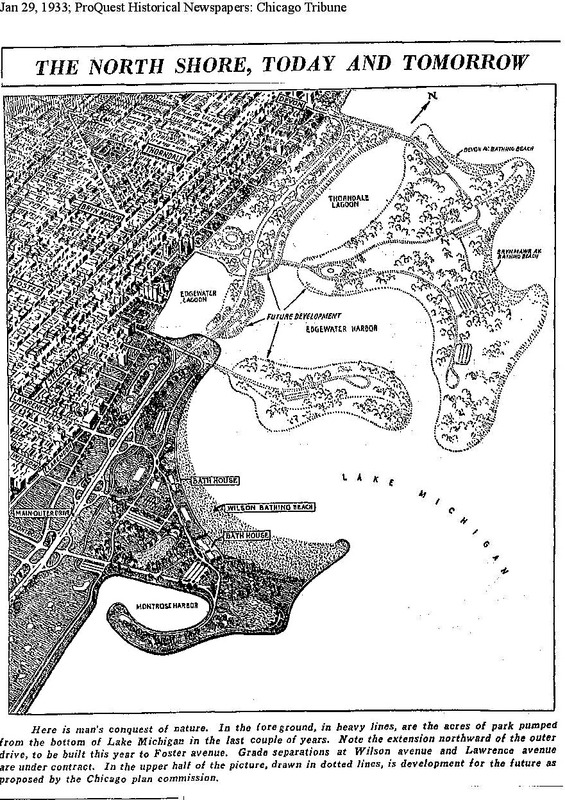 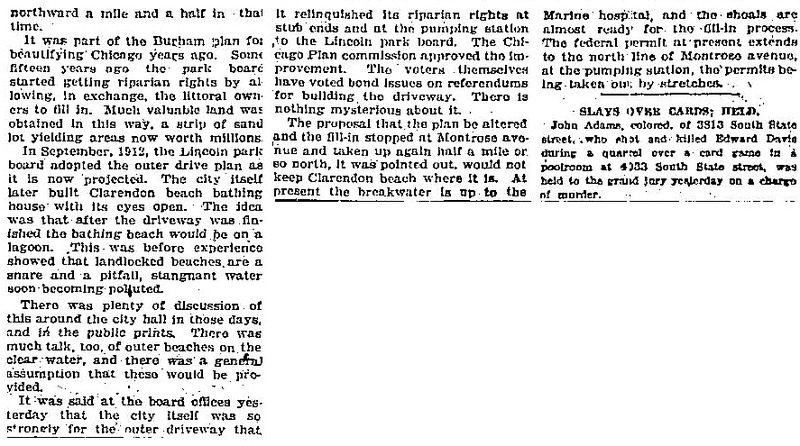 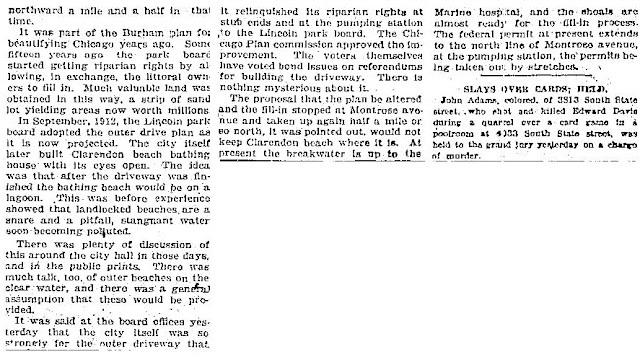 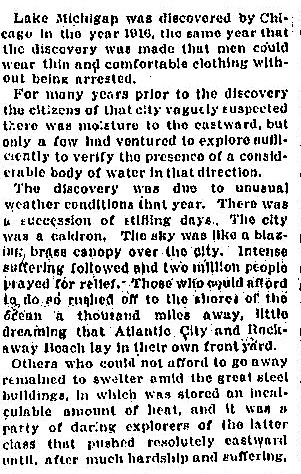 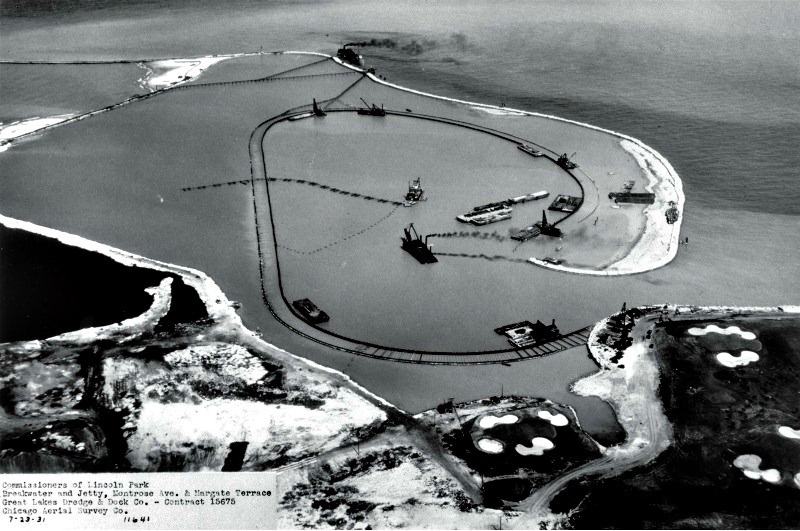 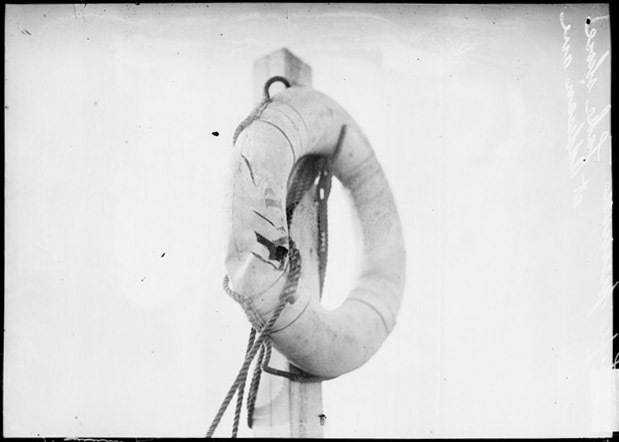 Harbors would be created and more green space would be developed slowly northward throughout the 20th century. 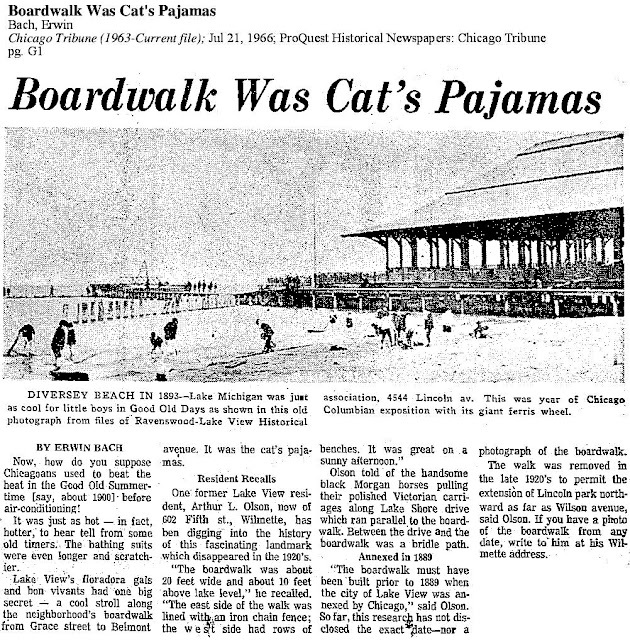 This particular broadwalk shown above began somewhere near Diversey Parkway and ended near Grace Street. 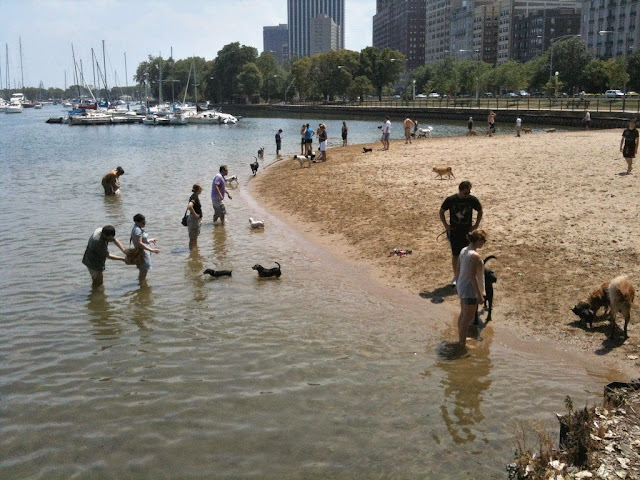 At high-tide this beach would be submerged. 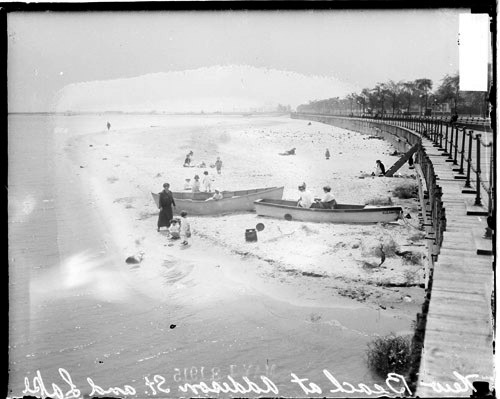 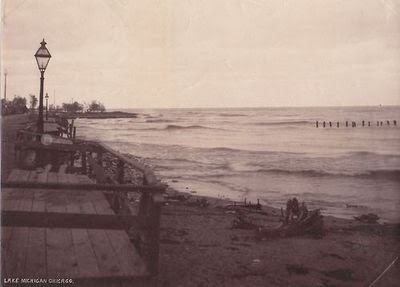 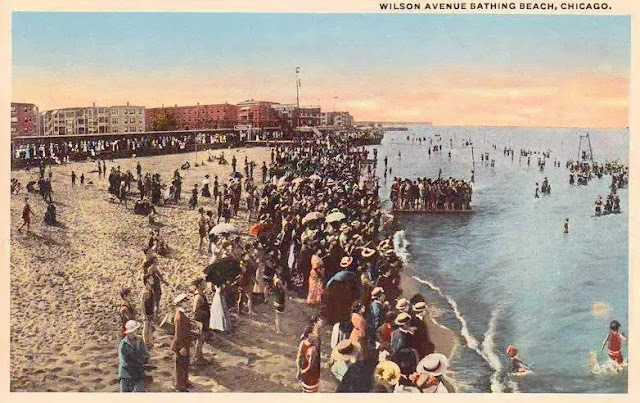 This beach-head (low tide) is a good example of a street-end beach that I have discovered on the north-side at the turn of the 20th century for it end at Addison Street. 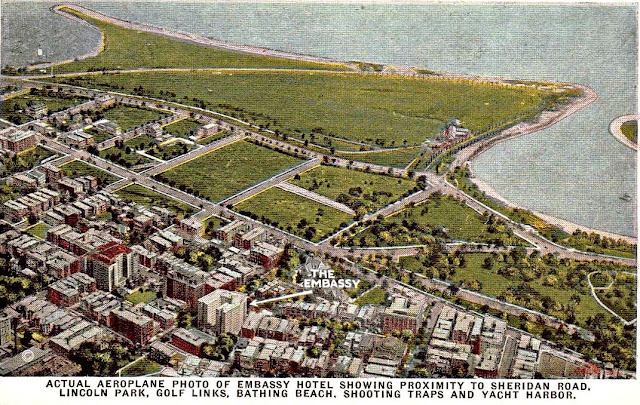 This postcard while highlighting the The Embassy Hotel on Diversey Parkway this postcard also highlights the park space between the harbors - Diversey and Belmont - at the time. 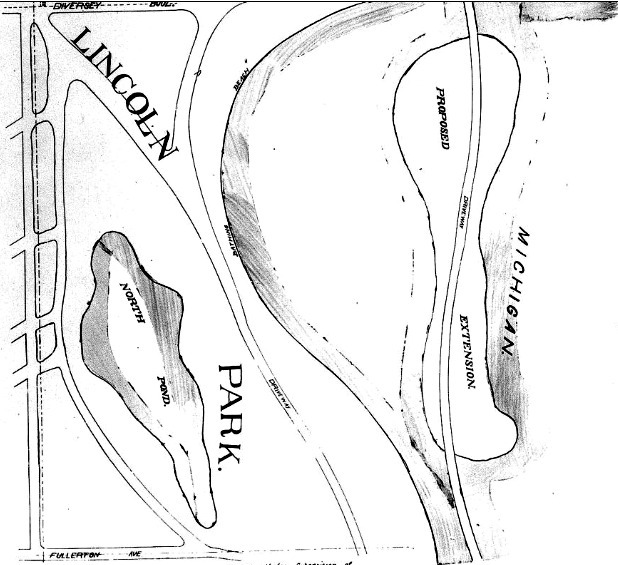 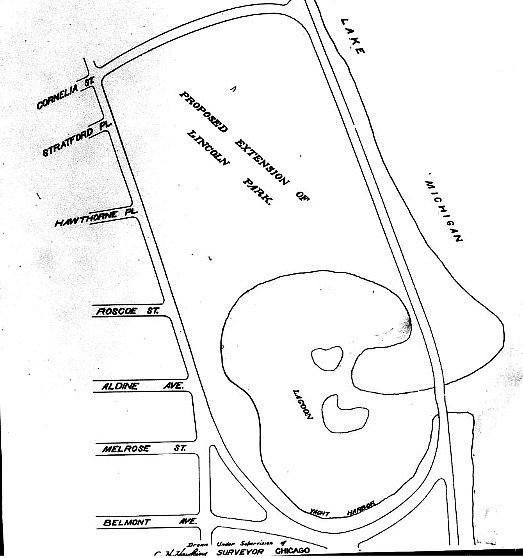 The Diversey Avenue Golf Links was a full 18 hole course prior to the mid 20th century. 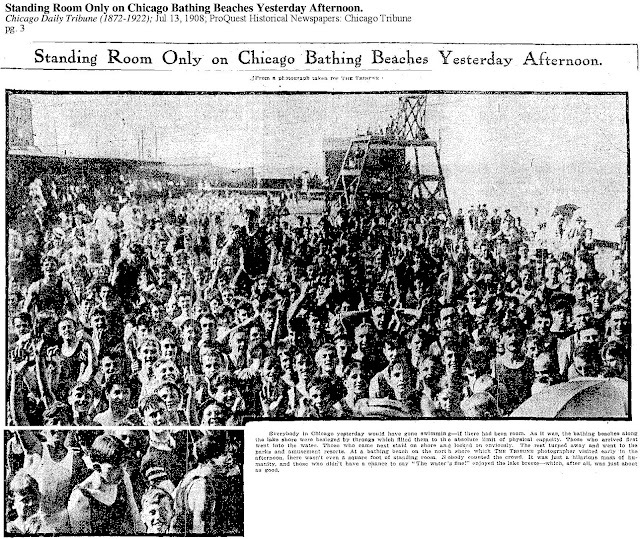 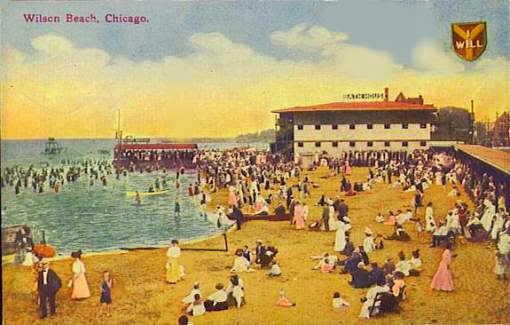 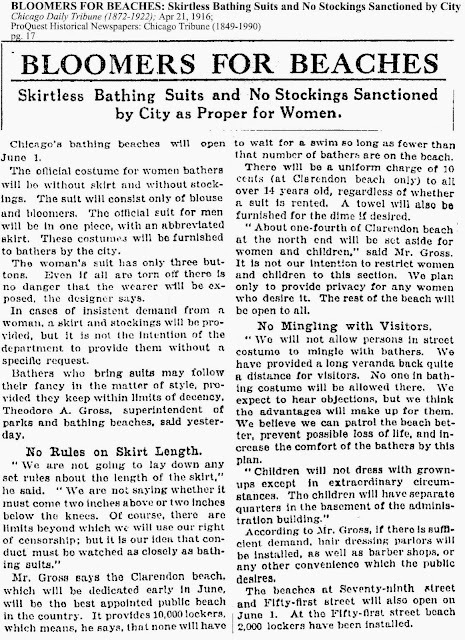 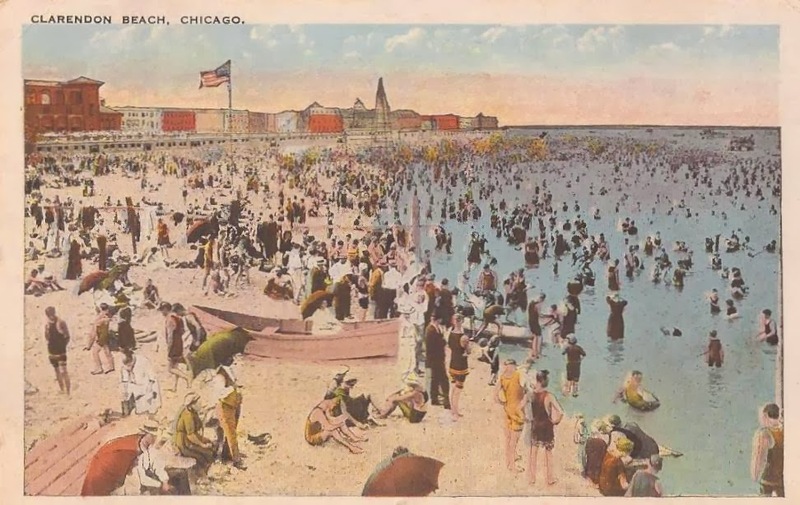 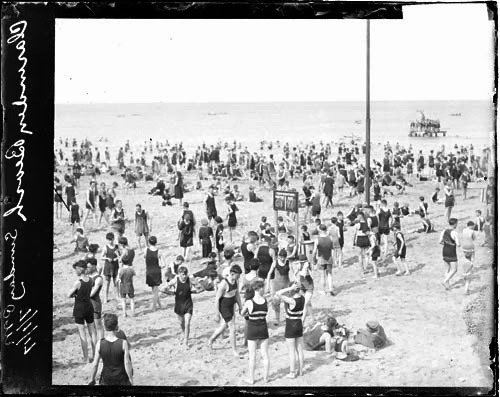 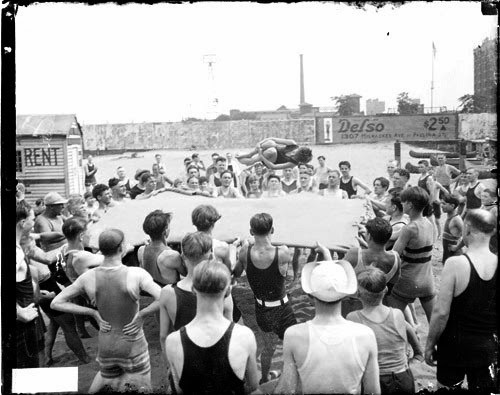 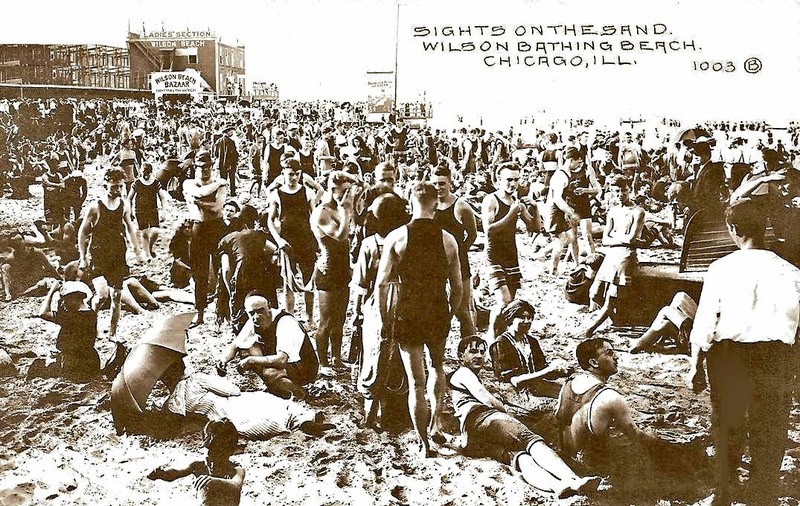 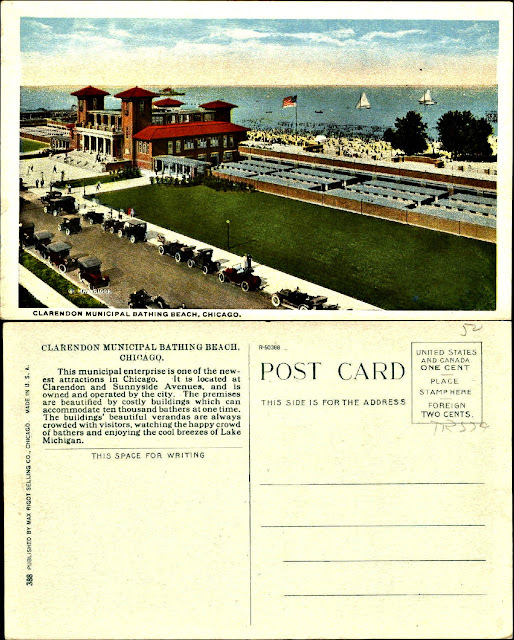 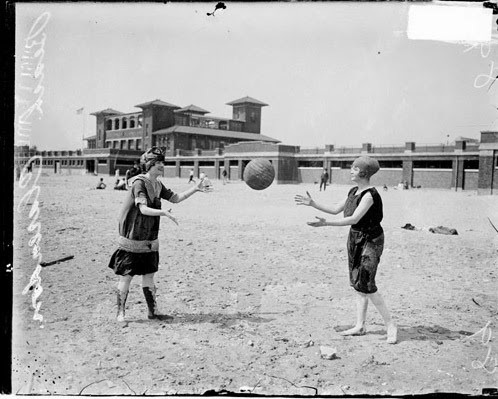 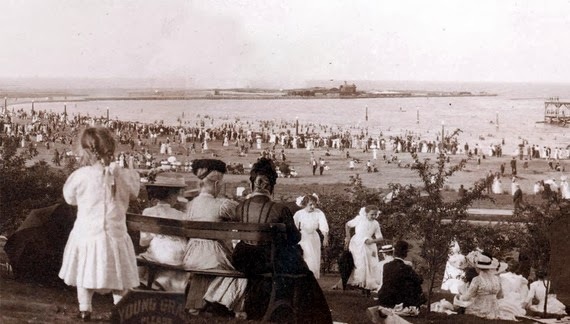 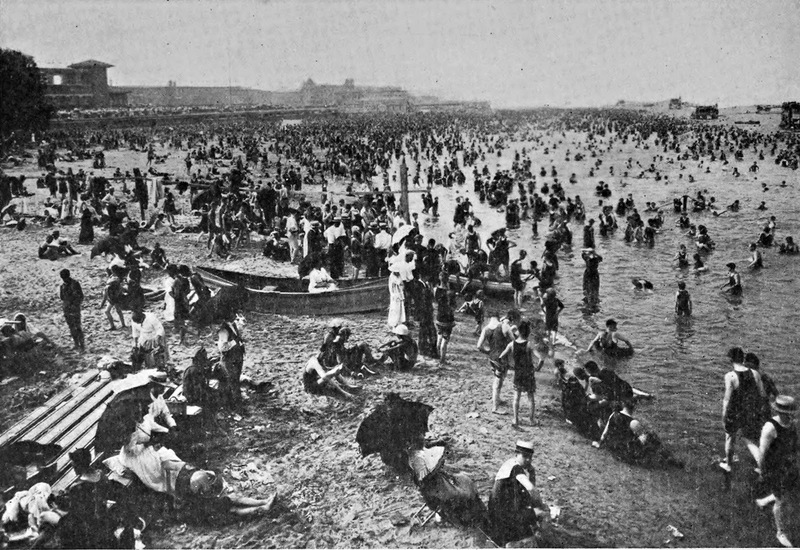 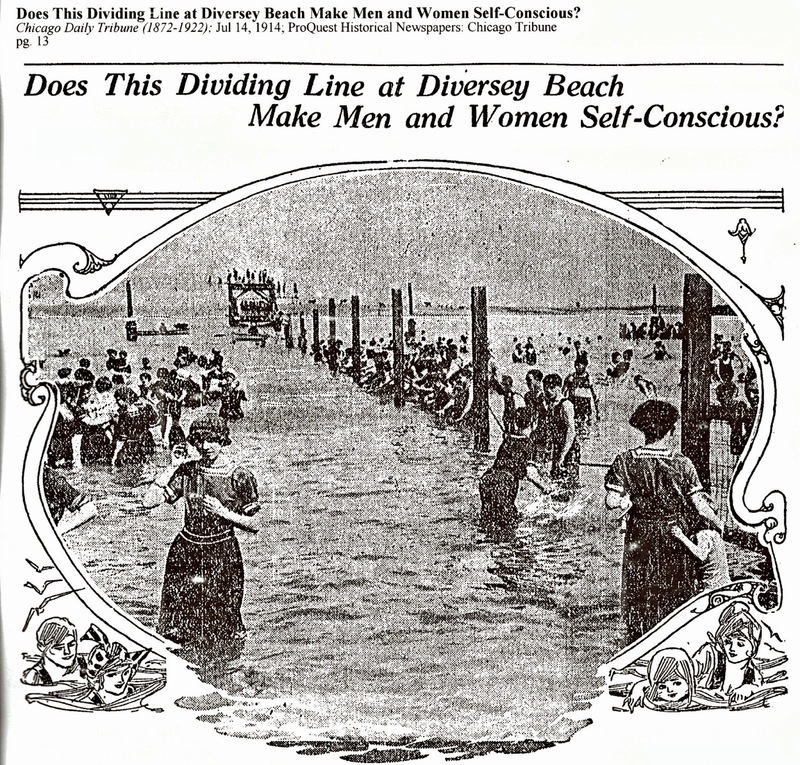 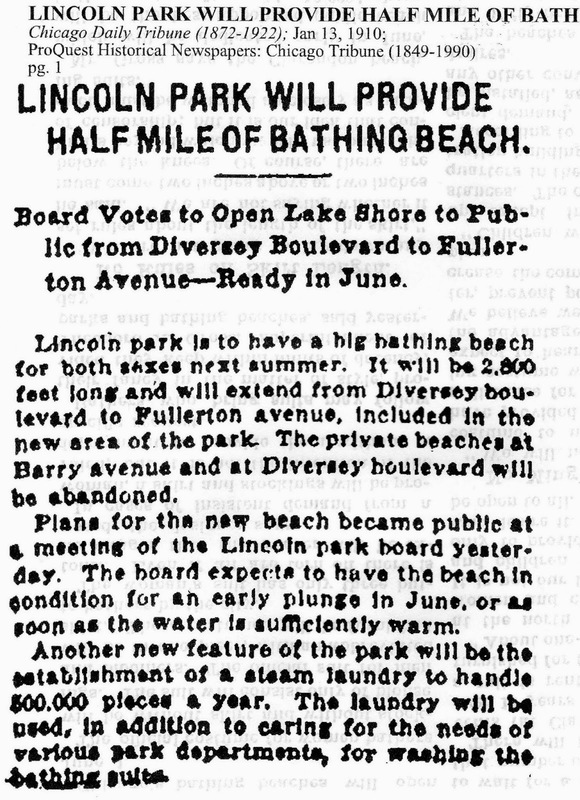 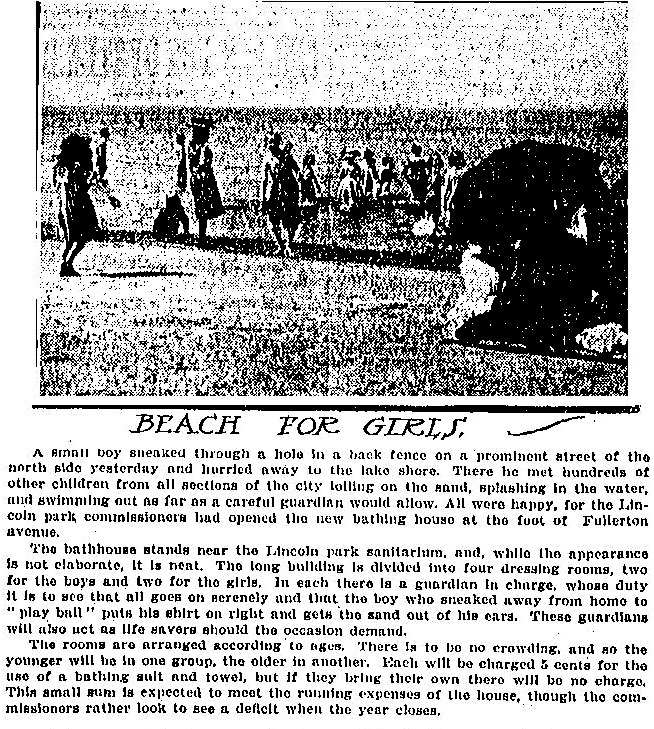 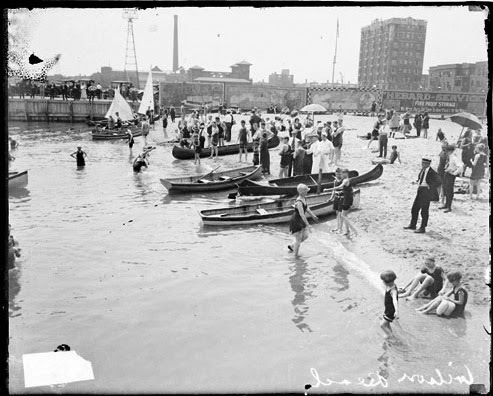 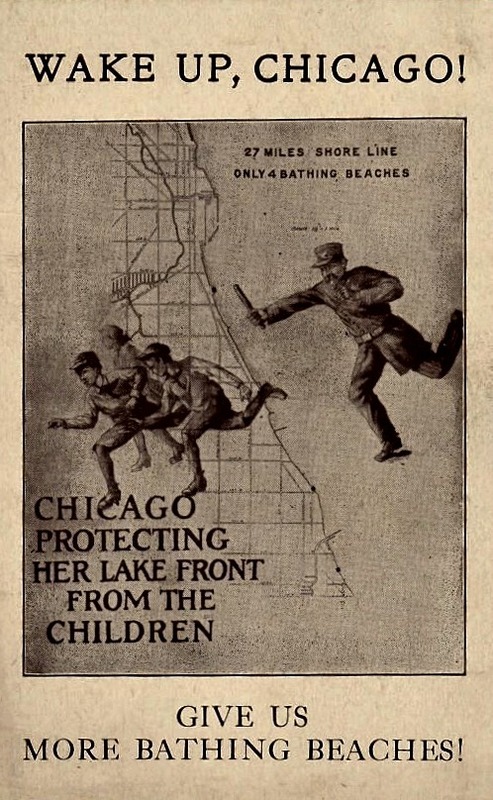 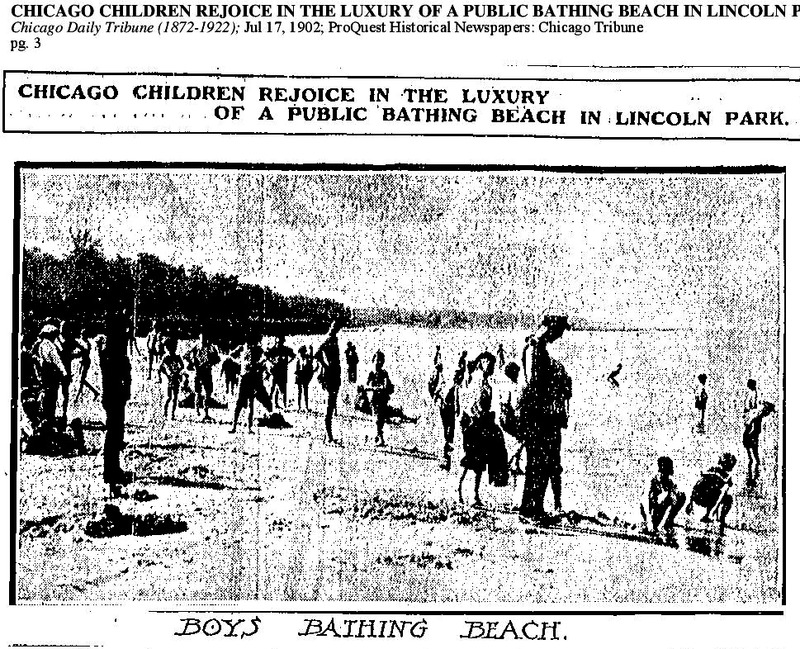 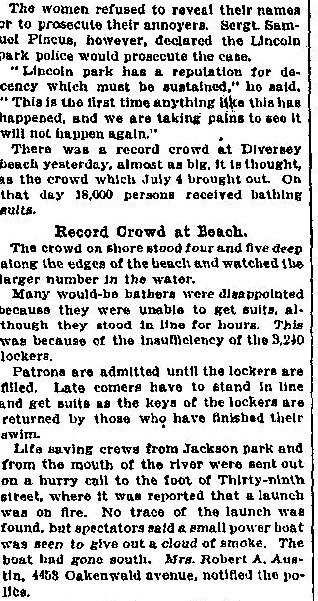 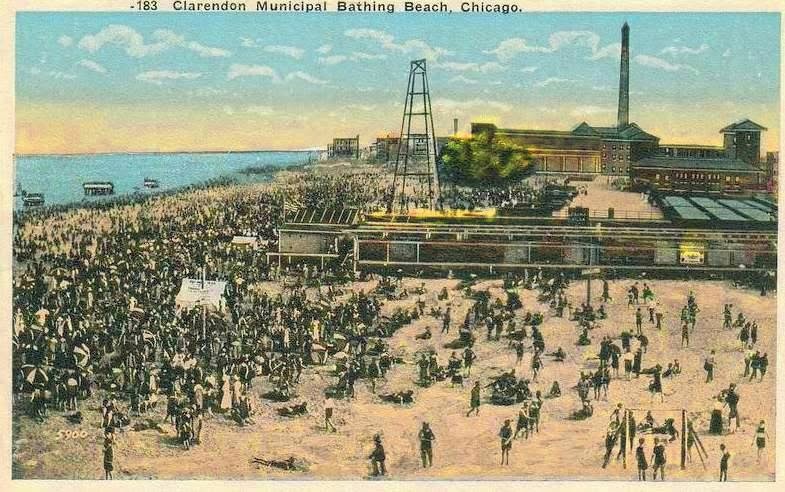 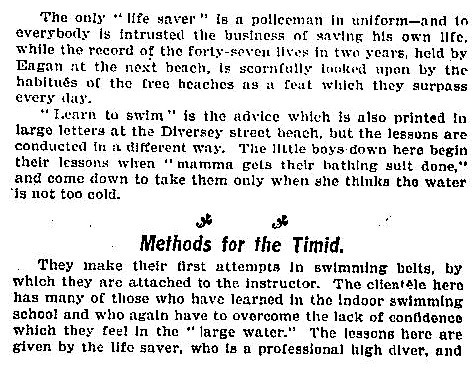 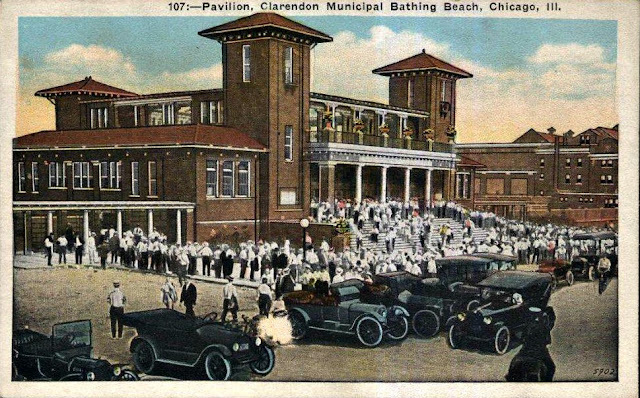 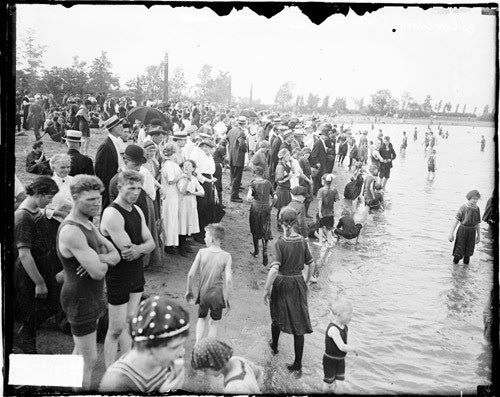 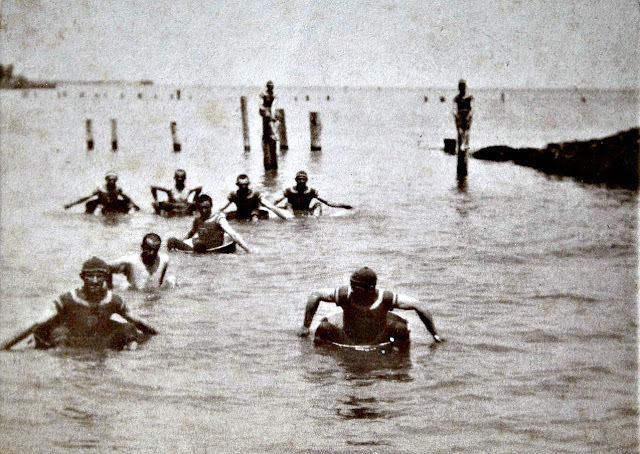 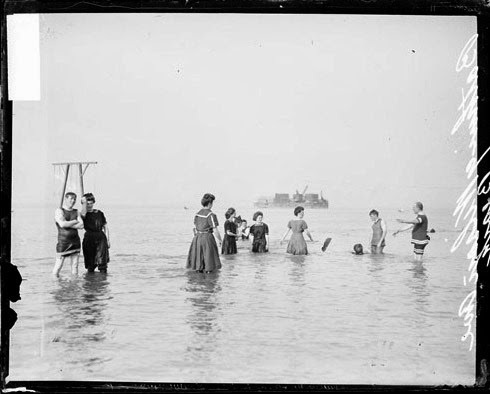 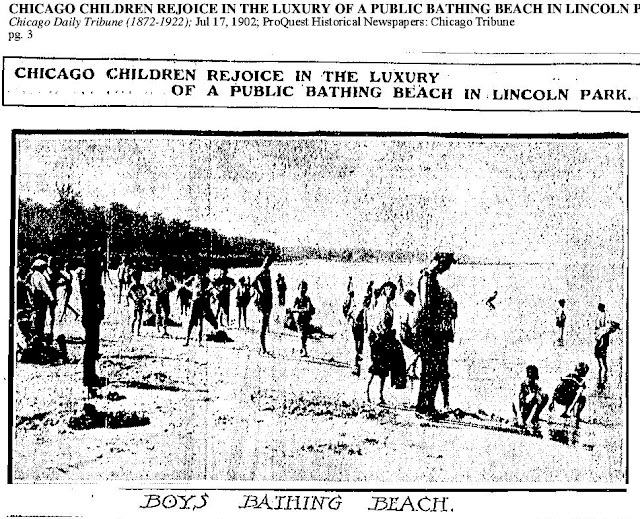 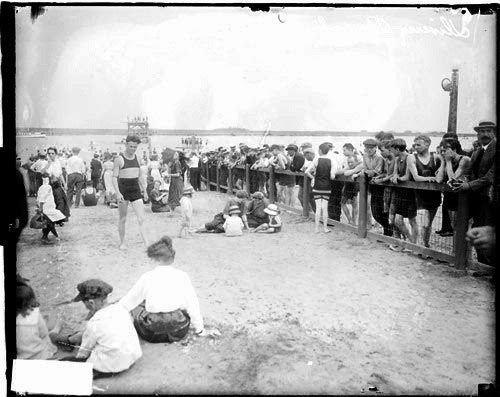 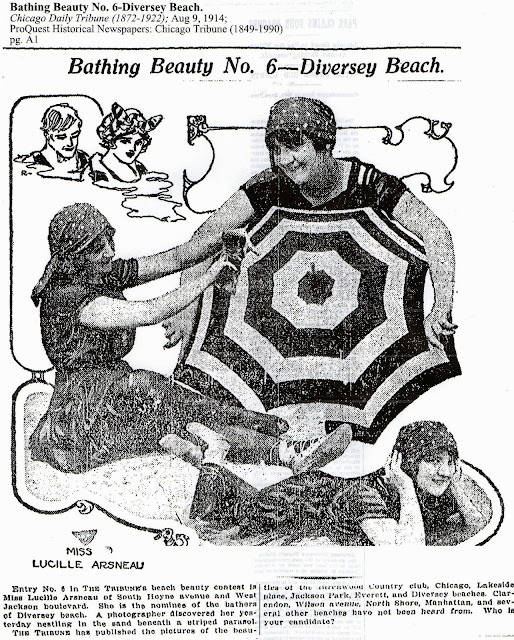 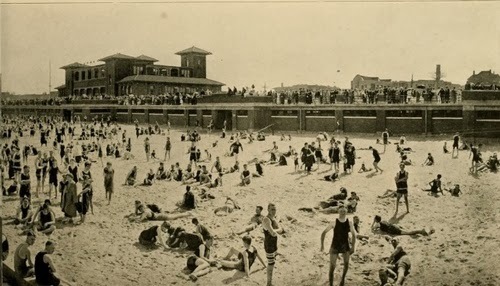 The largest public 'bathing' beach in Chicago as of 1920 and promoted as the largest beach in the world. 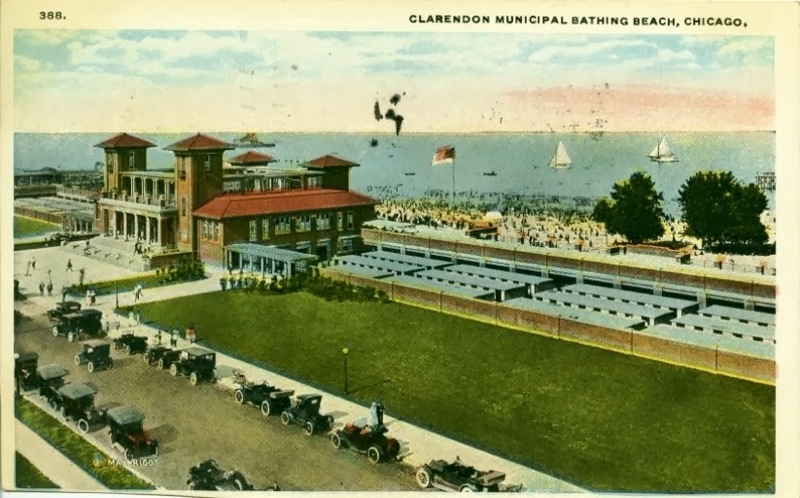 The 'Public House' building was designed by city architect C.W. 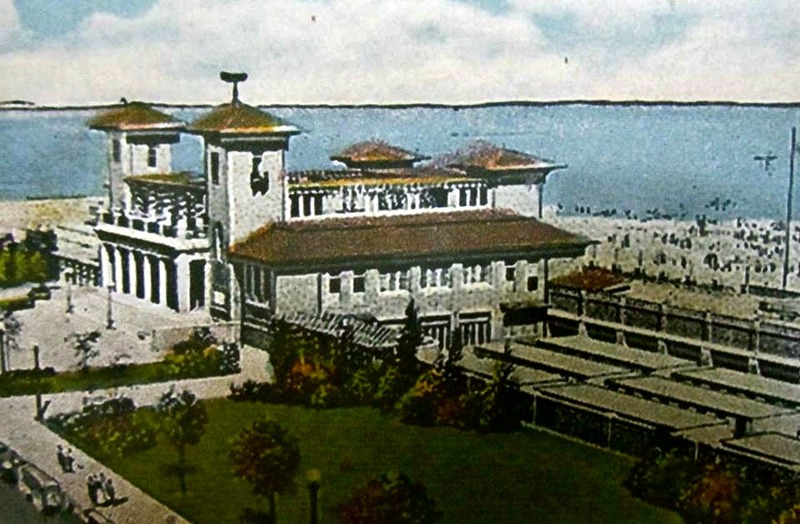 Kallal in a Mediterranean Revival Style, an architectural style that was used for such buildings as Marshall and Fox’s South Shore Country Club of 1916 (now South Shore Cultural Center) and the 63rd Street Bathing Pavilion in 1919. This style, also referred to as the 'Italian Resort Style' was defined by tall towers capped with hipped-roofs clad in clay tiles, large entry colonnades, porticos, loggias and open-air promenades compliments this style of architecture. 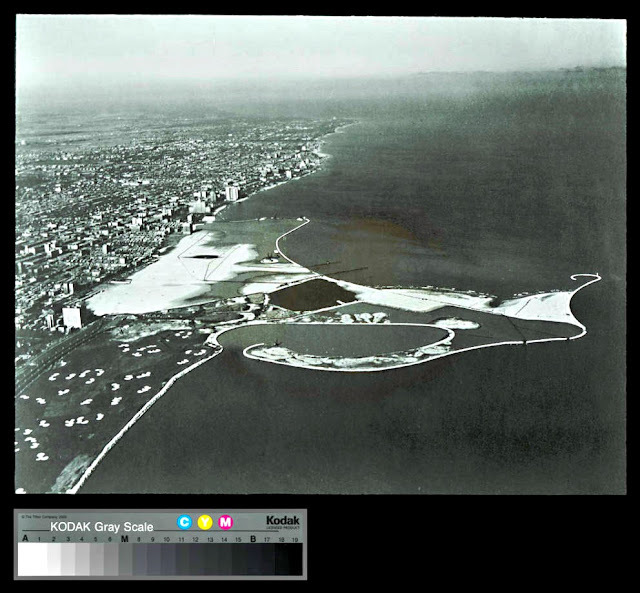 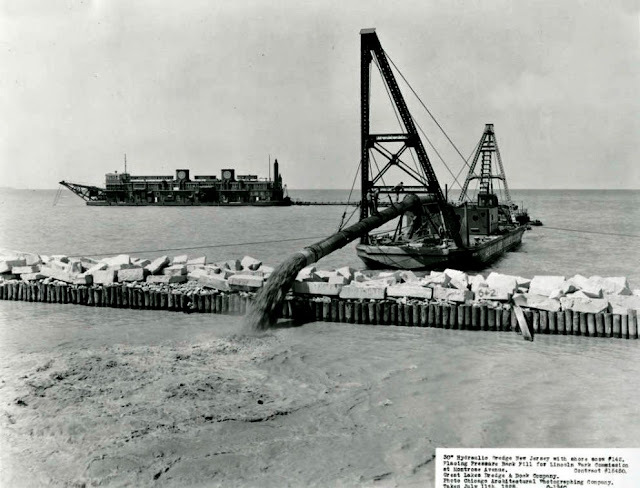 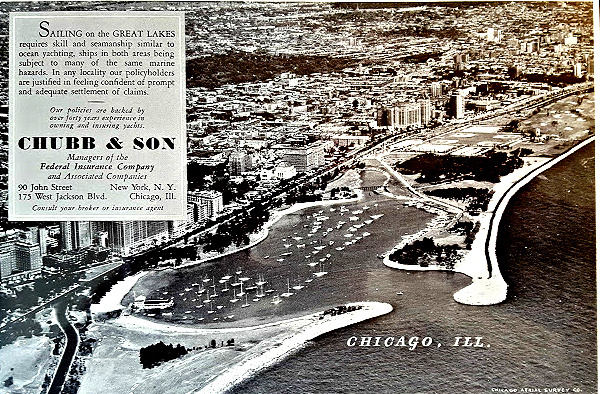 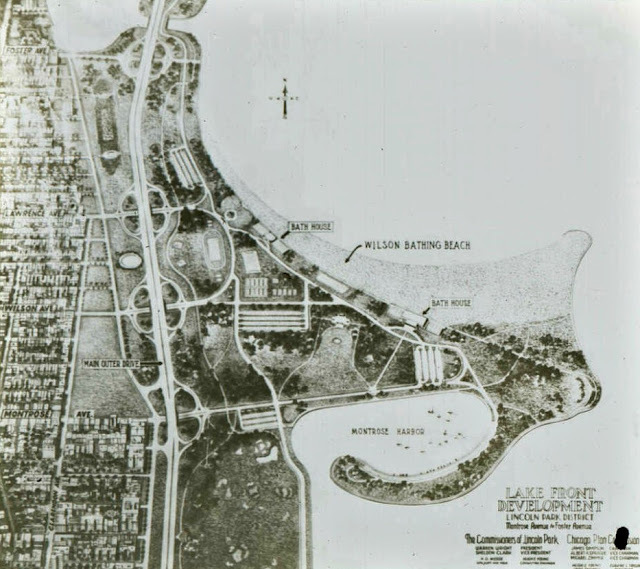 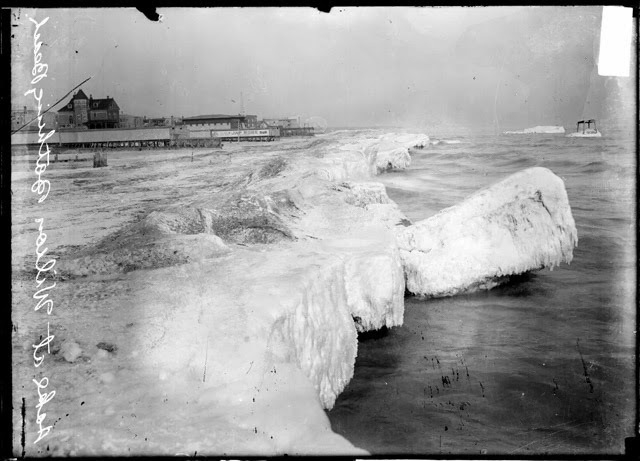 As Lake Shore Drive extended northward the old street-end beaches were replaced by land and road with limestone protecting both the filled in lakefront and the road. 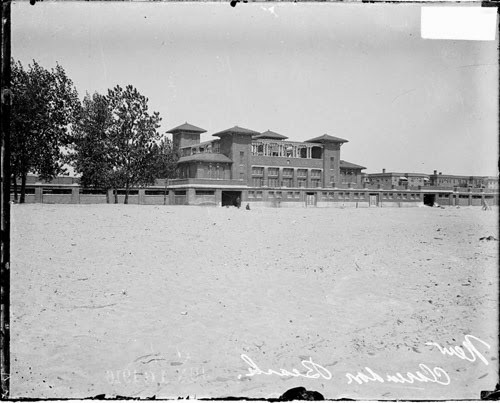 Due to the loss of beach with the extension of the park northward plans were made to create a city college on public land. There was also a proposal to build and extension for the Lake View High School during this same time period. 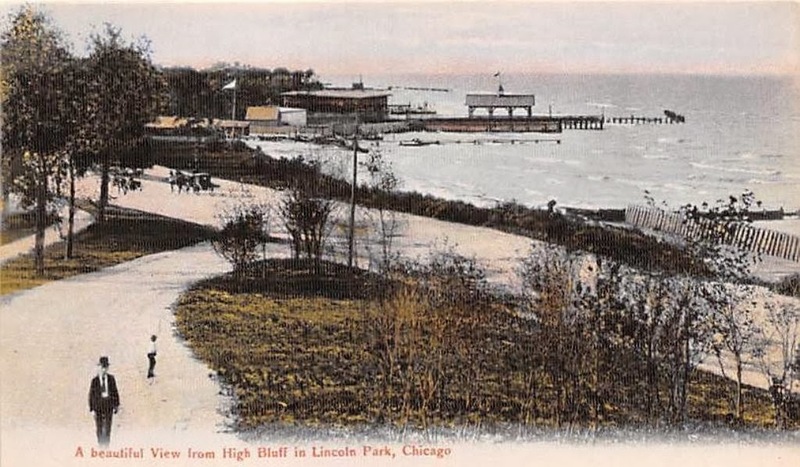 between Irving Park Road and Montrose. 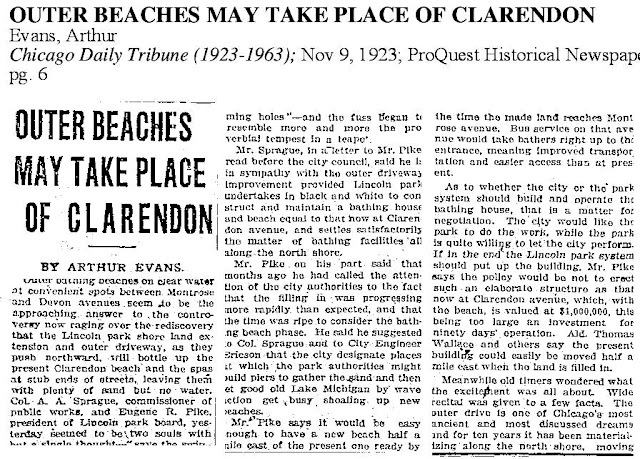 All of the minor beaches or I would like to refer them as 'starter beaches' were called 'street end' beaches indicating the end of the street was at the existing lakefront at the time. 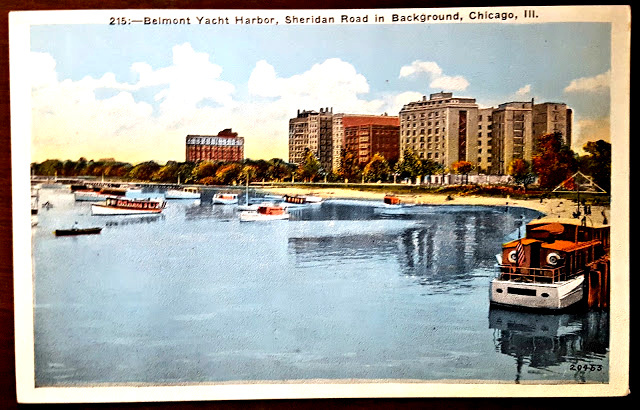 View more about Belmont Harbor with this link and this link. 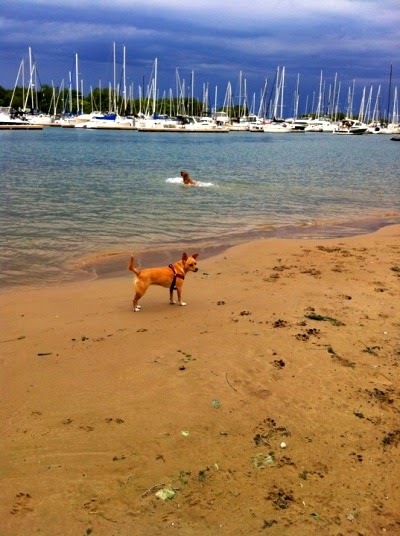 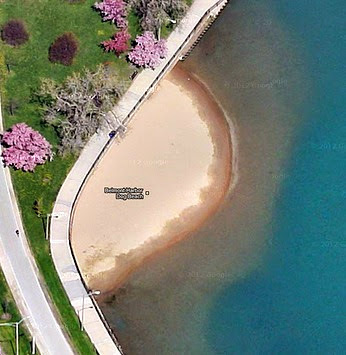 Belmont Harbor Dog Beach is located at 3600 N. Lake Shore Drive on just north of Belmont Harbor waters. 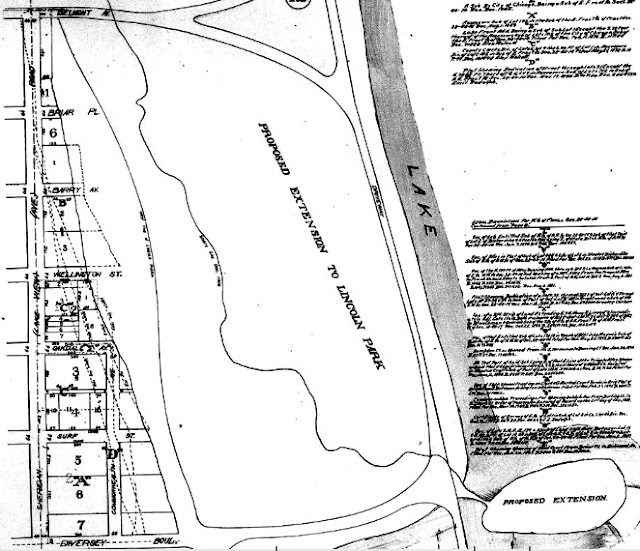 The stretch of land is about 1/10th of an acre. 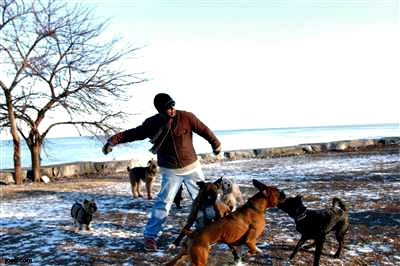 There’s still plenty of room for dogs to run, frolic and play fetch. 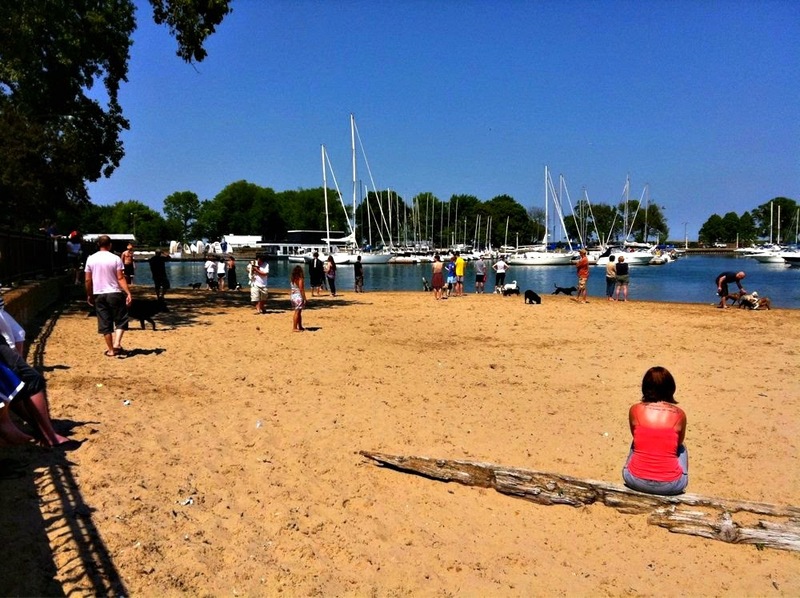 As with all Chicago dog parks/beaches, dogs must have an up-to-date vaccination tag, available at almost all vets for $5. 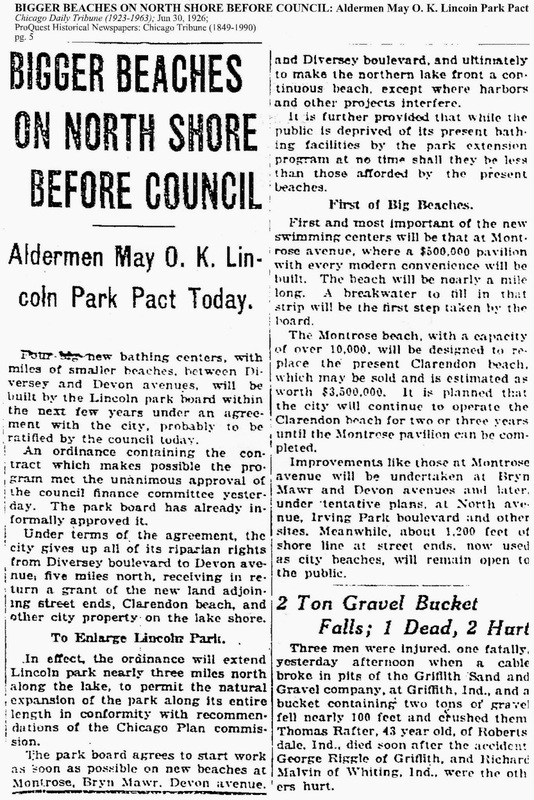 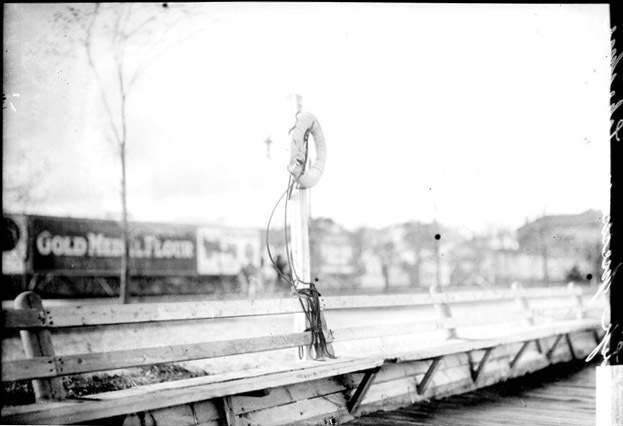 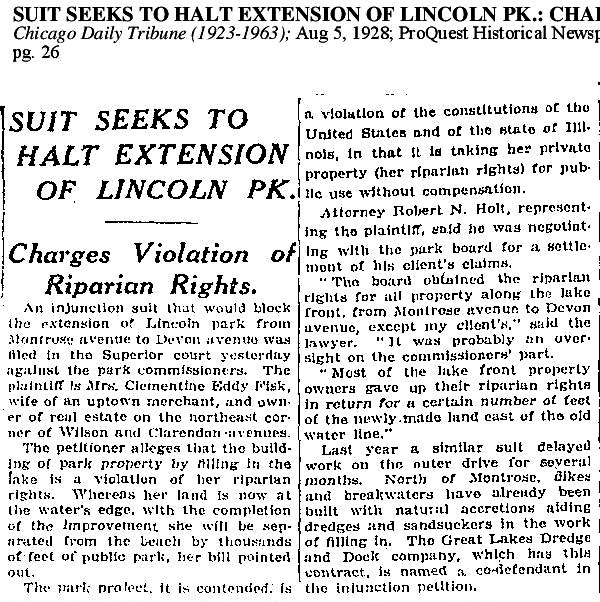 Cornelia was the northern border of Lincoln Park until the mid to late 1920's to early 1930's. 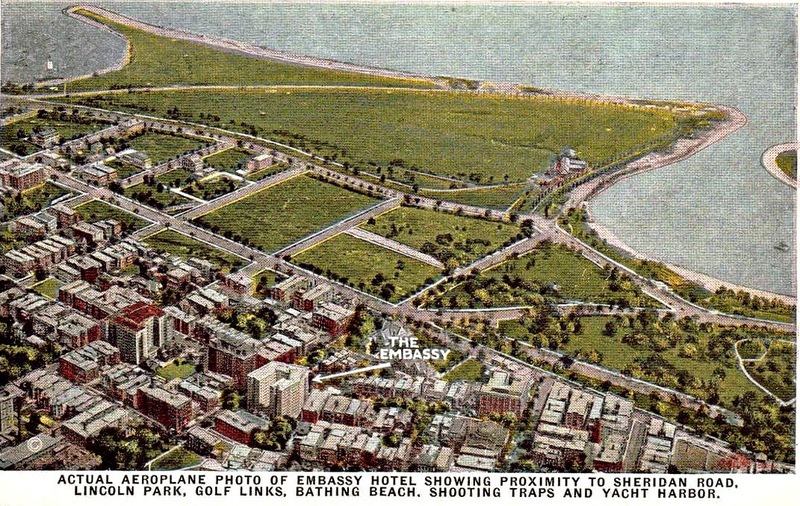 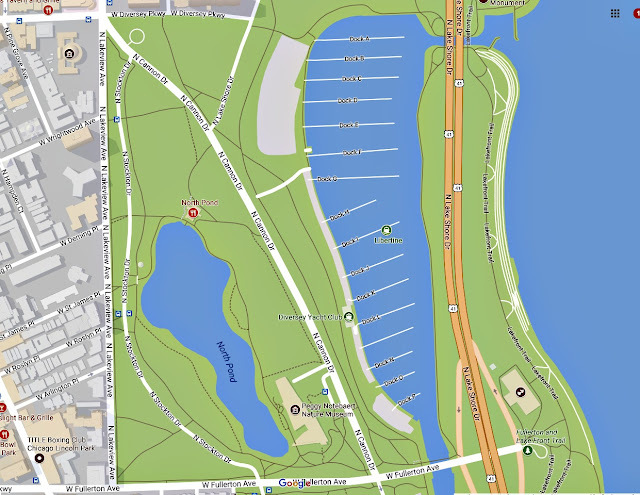 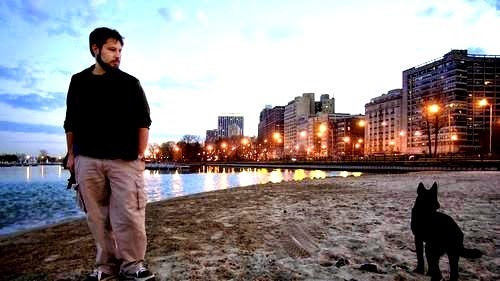 The development of Montrose Beach and Harbor would be the next development northward.